Make-A-Wish works to grant the wishes of children between the age of 2 ½ and 18 who are battling a critical illness, or who are suffering from a progressive, degenerative, or malignant condition that places the child’s life in jeopardy. Last year alone, more than 14,000 wishes were granted across the country! Make-A-Wish helps to bring hope, strength, and joy back into the lives of children, and this year during the 10th Annual World Down Syndrome Day, you may choose to play a part in helping to grant a wish for a local child through a car donation to Wheels For Wishes, benefiting Make-A-Wish. The mission of World Down Syndrome Day is to raise awareness of what Down syndrome is, and what it means to have Down syndrome. The day is meant to educate people, showing them that people with Down syndrome are people, just like everyone else, but people who may need additional assistance and support. People with Down syndrome deserve the same opportunities and choices as everyone else. This year on World Down Syndrome Day, you can help to spread awareness to ensure that each and every person with Down syndrome is receiving proper treatment. Down Syndrome International (DSI) encourages people all over the world to attend World Down Syndrome Day activities that will raise awareness for Down syndrome and to start activities and events of their own. If you cannot attend an event, consider using social media to spread awareness. Find a World Down Syndrome Day event here. 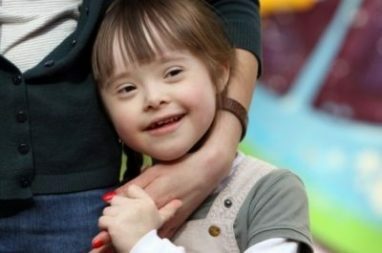 Many children with Down syndrome may be battling a critical illness. When you donate a car to Wheels For Wishes, benefiting Make-A-Wish, you can help to grant wishes for children in your community who are battling a critical illness. Your car donation can help to make wishes come true for local kids. When you donate a car to benefit Make-A-Wish, you can help to make wishes come true for kids like Peter who wished to have a piano, Charlie, who wished to visit Chicago, Lauren who wished to deliver bunny blankets to a local children’s hospital, or Kennedy who wished to meet ballerinas. Your car donation can help to make wishes such as these come true. To donate a car in honor of World Down Syndrome Day, please fill out an online donation form or call us at 1-877-431-9474. Your vehicle will be picked up at no charge to you, and you will receive a great tax deduction just for donating your car to charity. Plus, you will be helping to grant a wish of a child in your community, which may be the best benefit of all.